Remember that splash shots from sand are the only shots in golf where the ball doesn’t make contact with the clubface. Because the ball doesn’t contact the grooves, this makes it difficult to gain any backspin. 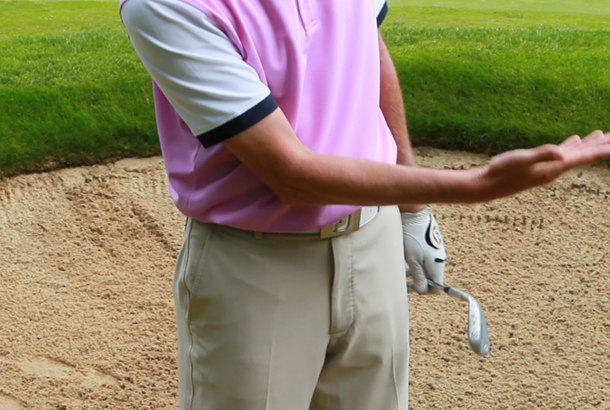 A way you can increase the amount of backspin you apply to the ball is to release the right hand a little earlier, as TG Elite Pro Adrian Fryer explains in this golf video tip.